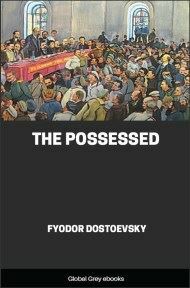 The Possessed, also translated as The Devils or Demons, is an 1872 novel by Fyodor Dostoevsky. As the revolutionary democrats begin to rise in Russia, different ideologies begin to collide. 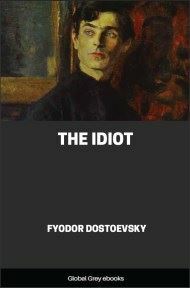 Dostoevsky casts a critical eye on both the left-wing idealists, exposing their ideas and ideological foundation as demonic, and the conservative establishment's ineptitude in dealing with those ideas and their social consequences. I will say at once that Stepan Trofimovitch had always filled a particular rôle among us, that of the progressive patriot, so to say, and he was passionately fond of playing the part—so much so that I really believe he could not have existed without it. Not that I would put him on a level with an actor at a theatre, God forbid, for I really have a respect for him. This may all have been the effect of habit, or rather, more exactly of a generous propensity he had from his earliest years for indulging in an agreeable day-dream in which he figured as a picturesque public character. He fondly loved, for instance, his position as a "persecuted" man and, so to speak, an "exile." There is a sort of traditional glamour about those two little words that fascinated him once for all and, exalting him gradually in his own opinion, raised him in the course of years to a lofty pedestal very gratifying to vanity. In an English satire of the last century, Gulliver, returning from the land of the Lilliputians where the people were only three or four inches high, had grown so accustomed to consider himself a giant among them, that as he walked along the streets of London he could not help crying out to carriages and passers-by to be careful and get out of his way for fear he should crush them, imagining that they were little and he was still a giant. He was laughed at and abused for it, and rough coachmen even lashed at the giant with their whips. But was that just? What may not be done by habit? 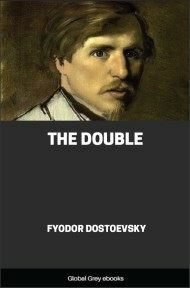 Habit had brought Stepan Trofimovitch almost to the same position, but in a more innocent and inoffensive form, if one may use such expressions, for he was a most excellent man. I am even inclined to suppose that towards the end he had been entirely forgotten everywhere; but still it cannot be said that his name had never been known. It is beyond question that he had at one time belonged to a certain distinguished constellation of celebrated leaders of the last generation, and at one time—though only for the briefest moment—his name was pronounced by many hasty persons of that day almost as though it were on a level with the names of Tchaadaev, of Byelinsky, of Granovsky, and of Herzen, who had only just begun to write abroad. But Stepan Trofimovitch's activity ceased almost at the moment it began, owing, so to say, to a "vortex of combined circumstances." And would you believe it? It turned out afterwards that there had been no "vortex" and even no "circumstances," at least in that connection. I only learned the other day to my intense amazement, though on the most unimpeachable authority, that Stepan Trofimovitch had lived among us in our province not as an "exile" as we were accustomed to believe, and had never even been under police supervision at all. Such is the force of imagination! All his life he sincerely believed that in certain spheres he was a constant cause of apprehension, that every step he took was watched and noted, and that each one of the three governors who succeeded one another during twenty years in our province came with special and uneasy ideas concerning him, which had, by higher powers, been impressed upon each before everything else, on receiving the appointment. Had anyone assured the honest man on the most irrefutable grounds that he had nothing to be afraid of, he would certainly have been offended. Yet Stepan Trofimovitch was a most intelligent and gifted man, even, so to say, a man of science, though indeed, in science... well, in fact he had not done such great things in science. I believe indeed he had done nothing at all. But that's very often the case, of course, with men of science among us in Russia. He came back from abroad and was brilliant in the capacity of lecturer at the university, towards the end of the forties. He only had time to deliver a few lectures, I believe they were about the Arabs; he maintained, too, a brilliant thesis on the political and Hanseatic importance of the German town Hanau, of which there was promise in the epoch between 1413 and 1428, and on the special and obscure reasons why that promise was never fulfilled. 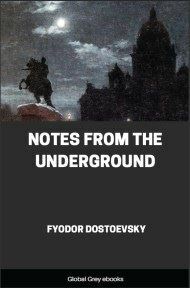 This dissertation was a cruel and skilful thrust at the Slavophils of the day, and at once made him numerous and irreconcilable enemies among them. Later on—after he had lost his post as lecturer, however—he published (by way of revenge, so to say, and to show them what a man they had lost) in a progressive monthly review, which translated Dickens and advocated the views of George Sand, the beginning of a very profound investigation into the causes, I believe, of the extraordinary moral nobility of certain knights at a certain epoch or something of that nature. Some lofty and exceptionally noble idea was maintained in it, anyway. 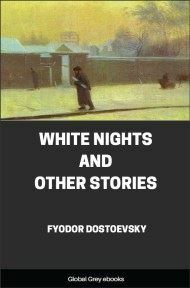 It was said afterwards that the continuation was hurriedly forbidden and even that the progressive review had to suffer for having printed the first part. That may very well have been so, for what was not possible in those days? Though, in this case, it is more likely that there was nothing of the kind, and that the author himself was too lazy to conclude his essay. He cut short his lectures on the Arabs because, somehow and by some one (probably one of his reactionary enemies) a letter had been seized giving an account of certain circumstances, in consequence of which some one had demanded an explanation from him.